With all legal hurdles cleared, the Pentagon has instituted a new transgender policy that largely limits the military service of transgender persons currently in uniform to their birth gender. If they are unwilling to do so, they could be discharged. Add Pentagon as an interest to stay up to date on the latest Pentagon news, video, and analysis from ABC News. The new policy, signed late Tuesday by David Norquist, who is currently serving as the deputy Defense secretary, will be implemented on April 12. A copy of the policy memo was obtained by ABC News. Transgender service members currently serving in the military will only be allowed to continue to serve if they adhere to the dress and grooming standards of their biological gender. Waivers will be allowed on a case-by-case basis but only from the secretaries in charge of the military services. As was the case with a memo issued last February, service members diagnosed with gender dysphoria will no longer be allowed medical surgeries for gender transition unless they are currently in the process of receiving medical treatment. 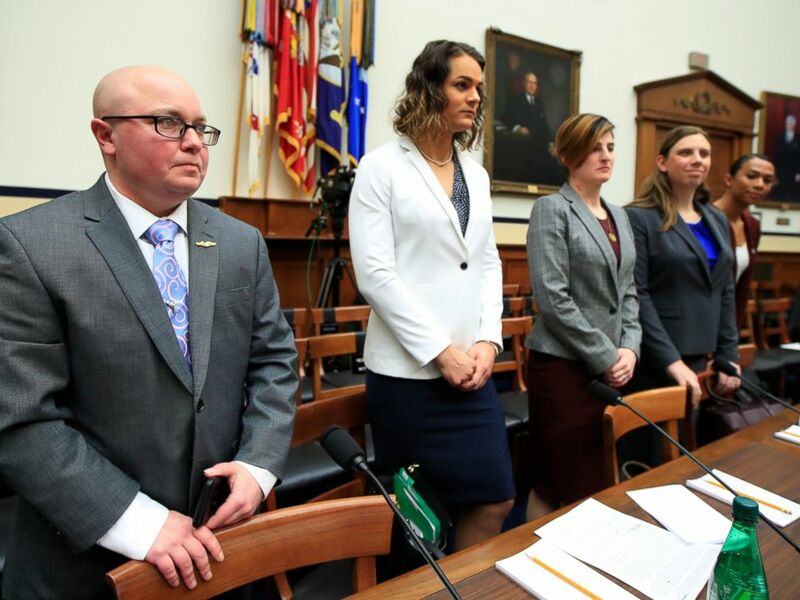 In this Feb. 27, 2019 photo, from left, transgender military members Navy Lt. Cmdr. Blake Dremann, Army Capt. Alivia Stehlik, Capt. Jennifer Peace, Staff Sgt. Patricia King and Navy Petty Officer Third Class Akira Wyatt. However, transgender recruits will no longer be allowed to join the military, even if they have transitioned to a new gender, as had been the case under the earlier memo. Only individuals who have never had hormone treatment or surgery will be allowed to enter the military as recruits. Waivers are still available for those currently in uniform, but they have to be approved by the service chiefs. The new policy comes a week after a federal judge lifted the only remaining injunction of the ban on transgender military service that President Donald Trump had called for in the summer of 2017. Multiple lawsuits filed shortly after the Pentagon followed through with the president’s desire for a ban had limited the implementation of the ban. "It would be prudent for acting Secretary Shanahan to delay implementing the Mattis policy until the courts have made their final determinations," said Rep. Adam Smith, D-Wash., the chairman of the House Armed Services Committee. 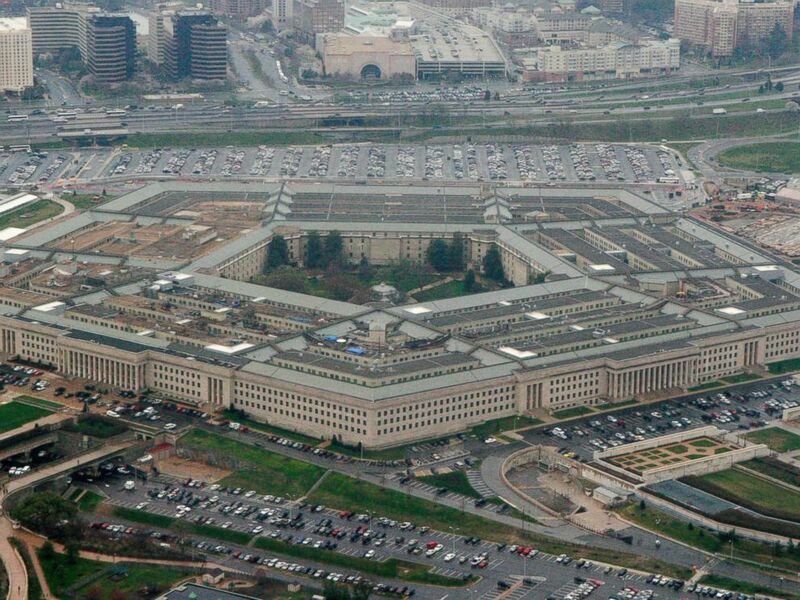 This March 27, 2008, file photo, shows the Pentagon in Washington. Advocacy groups denounced the Pentagon’s new policy. "Today the Trump administration has chosen prejudice and politics over the truth of open service as revealed by the testimonies of dozens of medical and military leaders and the service and sacrifice of 14,700 transgender service members," Aaron Belkin, the head of the Palm Center, said in a statement. "In almost three years of open service these troops built a strong record of achievement and earned the support of every service chief. The Trump administration is determined to bring back 'don’t ask, don’t tell,' a policy that forced service members to choose between serving their country and telling the truth about who they were."